I’ve been pondering on whether to write a blog post on the subject of the size of my TBR, and my attempts to reduce it, but I’ve always been too ashamed to admit to how many books I own that I haven’t read yet. The new year seems a good time to put it out there once and for all so that I can then add a small update about the state of my TBR to my weekly or monthly wrap-ups, which I hope will keep spurring me on to focus on reading the books I already own. So, before I go into that fully I should make clear that last summer when I was in the midst of my horrible reading slump, I took some time to go through all of my print and ebooks to really think about whether I still even wanted to read them. This led to me donating a lot of books to charity, and to me permanently deleting some ebooks. I wanted to be really ruthless and just be honest with myself about my books. The above photo was taken before I started deleting the books I’d got rid of from my Goodreads account. I then got rid of around 3000 (yes, that does say three thousand) books from my TBR. That left me with my current TBR which at this moment in time consists entirely of books that I still really want to read, including the review books I’ve received. So my TBR as of 1st January stood at 1879 books (print, ebooks and audiobooks combined). 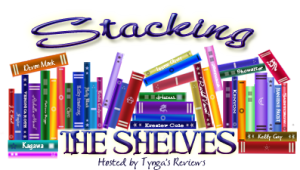 I’ve since been sent one book for review, and I bought five Kindle books in the recent sale (which you can read about in my Stacking the Shelves post). I did read 211 books last year so if I keep reading at that rate it will take me around nine years to read my TBR as it stands right now. So I’m aware that I will need to curb my book buying as much as I can, and that I’ll also need to regularly look through my books to get rid of anything that I no longer want to read. I realised quite a few things about how my reading tastes have changed whilst struggling through my reading slump last year. I re-discovered my love of non-fiction and so this year I want to really make an effort to read some of the non-fiction books that have been languishing on my shelves for years now. Through doing my Reading Bingo post last week I was able to really reflect and take note of how my reading went in 2016 and was shocked to realise that I didn’t read a single classic book and I only read one book that was first published more than twenty years ago. I do have quite a lot of classics on my TBR so I want to read at least some of them this year. So, everything has come together to make me realise that I need to spend more time reading the books I already own, and that I need to be more aware of my reading. I want to make time to read some books that really challenge me, that make me think, that maybe require a bit more research to get the most out of them. One challenge I’ve decided to do this year is the Book Riot Read Harder challenge, which is a list of 24 challenges to try to get people reading more widely and reading more difficult books (if you want to join in with that you can read about it on Book Riot’s website). My TBR does consist of a real mix of genres so just by reading the books I already own will push me out of the comfort zone that I got into last year. I will, of course, still be reading some new releases and will still be accepting some review books as I very much enjoy reading new books. I just want to read a wider variety of books this year and to push myself a little in what I’m reading. Have you made any reading resolutions or goals for this year? Have you dared work out the size of your TBR? Please share your goals and challenges for 2017 in the comments. Also, if you have any advice for keeping me on track to read my own books, please share them with me. Today I’m thrilled to welcome Chris Curran (author of Mindsight and brand new novel, Her Turn to Cry) to my blog! Chris has written this brilliant post for me all about crime series versus standalone, I hope you enjoy reading it as much as I did! When I first started writing crime the received wisdom from publishing professionals was that readers wanted series detectives. So that was what agents and editors were looking for. But as someone who preferred Ruth Rendell’s psychological suspense novels (often written as Barbara Vine) to her Inspector Wexford series and whose favourite Christie was the sinister standalone, Endless Night, it was this kind of book I wanted to write. Although it was before the Gone Girl phenomenon, Gillian Flynn had already written her first brilliant psychological thriller, Sharp Objects, which went on to win two CWA daggers. Other wonderful writers of standalone crime, like Laura Wilson, were also having success so I knew there must be a market. In the event I had just completed my first novel, Mindsight, when psychological crime, domestic noir, grip-lit or whatever you choose to call it, became big news. Crime series are still attracting hordes of readers of course and I love many of them myself. There’s something enormously satisfying about following a detective, professional or amateur, through a series of books. In effect you get two stories for the price of one: the immediate crime the sleuth is tasked with solving and the ongoing saga of their own, usually complex and often troubled, life. Kate Atkinson’s Jackson Brody, CJ Sansom’s Matthew Shardlake, Elly Griffiths’ Ruth Galloway and Sarah Hilary’s DI Marnie Rome all have fascinating back stories and personal lives that become more intriguing with each book. Who doesn’t want to know everything about Jackson Brody’s lost sister or to follow each new twist in Ruth Galloway’s on-off relationship with DCI Harry Nelson? And then there are the side-kicks and the detective’s family and friends who often have their own enthralling and messy storylines. Marnie Rome’s sergeant, Noah Jakes, Shardlake’s assistant, Barak, and Ruth Galloway’s druid friend, Cathbad, as well as her gorgeous daughter, Kate. In fact several of these characters seem complicated and vivid enough to head their own series. Tana French’s Dublin Murder Squad novels are interesting because they straddle the divide between series and standalone as a different detective takes centre stage with each new novel. It’s a clever ploy although, like many readers, I’m still dying to know the rest of Rob Ryan’s story, which was left tantalizingly open-ended in the first novel. So what are the virtues of the standalone? One advantage is that readers can come to each book in any order with no previous knowledge required. This means that the author doesn’t have to hold up the narrative to reveal details of the ongoing saga. And, although one of the delights of the series is following the development of recurring characters, there is a danger that these can become so enthralling that they overwhelm the criminal case featured in this particular book. Alternatively the author may withhold too much and alienate readers by refusing ever to satisfy their curiosity. In contrast all readers of a standalone start the book knowing nothing about any of the characters. No pattern has been established in previous novels so anything could happen. Since we are not looking at events through the perceptions of a trustworthy and familiar detective it can feel as if a safety net has been removed, which adds a delicious sense of menace. Anyone could die and anyone, including the narrator, could be deceiving us. Could even be the murderer. There is a heightened intensity to many standalones because the characters are usually ordinary people intimately involved with the crime and are often blundering around feeling terrified and helpless. Or of course they might be hiding a guilty secret or even turn out to be a manipulative psychopath. The standalone writer is not restricted by an established location or set of procedures and is at liberty to travel in time and space both between books and within a novel. My first book, Mindsight, was set in contemporary Hastings on the south coast of England, whereas my second, Her Turn To Cry, moves from the variety theatres of the 1950s to the heart of swinging 60s London. In fact writers of standalones do tend to follow certain themes in their work. Flynn is obsessed with dysfunctional families and manipulative women, Cathi Unsworth explores popular music culture, and the dark underbelly the 20th century, whilst Megan Abbott’s compelling and unsettling novels often deal with hyper-competitive teenage girls. For the reader it’s a matter of choose your poison or, like me, have it both ways. Nor must it be either/or for the writer. Like Ruth Rendell and Agatha Christie, Laura Wilson began a detective series with Stratton’s War. And I have a police character in mind for my own next book – so who knows. I was born in London but now live in St Leonards-on-Sea near Hastings, on the south coast of England, in a house groaning with books. I left school at sixteen to work in the local library – my dream job then and now – and spent an idyllic few months reading my way around the shelves. Reluctantly returning to full-time education I gained my degree from Sussex University. Since then I have worked as an actress, script writer, copy editor and teacher, all the time looking forward to the day when I would see my own books gracing those library shelves. This is my second day of the 3 Quotes Challenge, I was nominated for this challenge by A House of Books blog. As with yesterday’s post, I’m also using this as a chance to continue my Bookish Memories series that I started when I first began blogging. Today my quote comes from another favourite book of mine – Fahrenheit 451 by Ray Bradbury. Many years ago I was a member of Bookcrossing and as part of a UK email group people used to lend each other books. One day I saw a book being talked about called Fahrenheit 451 and initially it didn’t interest me as it’s classed as sci-fi and it’s not one of my most favourite genres. A fellow bookcrosser persuaded me to give it a go when she explained it’s about a dystopian society where books are banned! I’m so glad I gave it a go as after one reading I knew it was going to become a real favourite of mine. The Government of the day has banned books, and fire fighters exist to burn any books that are found – hence the title as paper burns at 451 degrees fahrenheit. Montag is a firefighter who one day cannot resist the lure of books and he ends up in serious trouble. He goes on the run and ends up in a place where books are being saved, perhaps not in their current form but still saved nonetheless. Even though this book was originally published in 1953, it relates so well to the modern world. The thought that big brother is always watching and monitoring us through TVs or computers, the fear that ebooks will kill print books when really it’s the words in the books that matter not the medium in which they’re read. I would encourage all book lovers to grab a copy of this book and read it as soon as possible! The quote I picked stands out to me in this book because it’s so beautiful and true. It’s a quote I often think about because it’s both a comfort when you’ve lost loved ones but also a reminder that if you do anything with a passion then you are making a difference. There are many other wonderful quotes that I could have picked from the book but this one is my favourite. I bought a battered second-hand copy of Fahrenheit 451 soon after I sent the borrowed copy back to its owner. I’ve read it so many times that it was falling to pieces and being held together with tape! For my birthday a few years ago my husband bought me this beautiful clothbound hardback copy which I love! I think I would go as far as to say it’s my favourite edition of all of my books. Please feel free to join in with the 3 Quotes Challenge. The challenge is just to post one quote every day for three days – the rest of this post is just what I chose to add. New Look for Rather Too Fond of Books! Over the last few days I’ve been making some changes to my blog. I finally took the plunge yesterday and bought my own domain so my blog is now rathertoofondofbooks.com (all my old links with wordpress in will still work). I just feel so sure now that I will continue blogging for the foreseeable future and wanted to do something to mark that. I’ve also been working on a new look for my blog. I’ve been thinking about giving it a makeover for a while as I’ve never liked the theme I had but it all takes time. Anyway, my lovely husband has kindly taken some fab photos of my books for me to use as headers and in my blog posts and I’m very happy with those. I just don’t have an eye for photography at all so I’m over the moon with my lovely new book images. I used this photo of my books as my old header because it’s the only photo I already had of my bookcases but I’ve never really liked the picture. I’m so pleased to now have a header that looks smarter and is more reflective of me and the books I love. I’m going to be creating some new post headings too, so everything will have had an overhaul and been brought much more up-to-date. Anyway, you can see my new look right here… what do you think? I hope you all like it and that it won’t take you long to recognise the new me! This book has me utterly engrossed – I literally only put it down when real life forces me too! I cannot figure out what is going on but I can sense there is going to be a shock in store. I hope to have some reading time later on today and so will probably finish it then. This is such a great read. I knew it was going to be good but I wasn’t expecting it to get to me in the way it has, I can’t stop thinking about these characters and I want to get back to reading about them as soon as I possibly can. Dear Dad is due out tomorrow so I’d really like to finish it as soon as I can to have my review ready but at the same time I want to take my time reading to make the book last longer as I don’t want to finish it, it’s so good. I plan to have my review up for this book in the next few days… at the moment I’m struggling to get it written as I just adored this book. I find it so hard to review books that I loved as I can never do them justice but I will do my best. I will say that I finished this book almost a week ago and I still find myself thinking about the characters and actually wondering how they are! I finished this book a couple of days ago but has yet haven’t managed to finish my review. I’m struggling with this one because I have conflicting thoughts about it and so am trying to get them written down in a coherent review. Hopefully I’ll have it ready to post very soon. I’m very excited to start reading this book, it sounds so good. I hope to be reading it later today. I posted a piece on Monday about how I’ve realised that I keep a lot of books (you can read my post HERE if you’d like to), that I badly want to read, for the right moment but then the build up is so big that the right moment never comes. So I’m trying to think of the best way to set myself a challenge to start reading these books. I think it will help if I make sure I list one in my WWW Wednesday post every week and then make sure I at least start reading it before the following week comes around. Blog Post: Keeping Books for ‘Best’! I downloaded the latest operating system for my iPad last week without really paying attention to what the update would do to my device. The reality is that it changed how iBooks works and as a result I had to re-download and then re-organise all of my books. I have so many ebooks that this is a mammoth task and I wasn’t happy at having to do it but I realised it would be a good opportunity to weed out books I’m probably never going to read and to make sure the books I really badly want to read are where I can easily find them. Seems like a good plan, huh? The problem is that it turns out that I have hundreds (well over a thousand actually) ebooks that I classed as being books I want to read as soon as possible! It’s not just ebooks either, I do have fewer print books than ebooks these days but I do still have books that I’ve had for years that I really want to read. I got to thinking then about why I have so many unread books that I classify as being books I want to read soon and then I realised what it is. My mum used to keep nice things for best. As a result her best things, her most favourite things hardly ever got used or worn. When my mum died I cried so much at how many of her lovely clothes she had perhaps only worn once or twice, and then there were the few items that had had better days that she continued to keep wearing. I realised that day that I was the same as my mum. I had so many lovely things that I kept in a cupboard or away in a box where they wouldn’t get damaged but what use are nice things if you never get to feel the joy of wearing them or using them. I take great joy from the fact that every day my husband and I eat with my mum’s best cutlery. I’d always loved her best set of tableware but it came out at Christmas, birthdays and other special occasions only. I made a promise to myself on the day I left her home for the last time that I would use this cutlery every day and I have stuck to it. It makes me happy. Sorting out my ebooks this week I realised that I have developed the habit of keeping my books for ‘best’. By this I mean that when I buy a book that I know I will absolutely love I save it for the right moment, for that perfect time when I can just curl up in the right mood and just read. The problem is that when you’ve saved a book for so long there never seems to be a right moment and the book ends up left unread for months, even years. It’s such a silly thing to do because I’m usually a good judge of what books I will and won’t like, and so often I’ve sat down with whatever book has caught my attention on that particular day and find I simply can’t put it down because serendipitously it is the right book for that moment in time! For example I recently read Ghostbird by Carol Lovekin, I had to read it for a specific date as I was on the blog tour but it so happened that it was absolutely the right moment in my life to read it as it had such a profound impact on me. I can’t stop thinking about the story, it completely and utterly captivated me. I realise now that I need to start reading the books I’m keeping for best, because like wearing a brand new dress when I’m just mooching about the house, it lifts my mood and feels like I’m giving myself a little treat. So I’m making a new rule for myself that I have to stop keeping books for ‘best’. Books are there for reading, not for cluttering up an iPad or gathering dust on a bookcase. I’m going to think about the best way to challenge myself to start reading these books… I’ll possibly start and write a blog post every now and then about how I’m getting on. If you have any ideas on how best to keep myself on track with this then please comment below. *The image in this post is also my blog header and was taken where I used to live and I still have some of these books unread on my bookcase but I do really really want to read them so it’s not just ebooks, it’s all of my books! Do you recognise yourself in this post at all? Do you keep books for a particular time that then never seems to come? How do you make sure that books you really want to read don’t end up gathering dust on your shelves forever more? This week has been a fab week on my blog. I was thrilled to pass 300 WordPress followers earlier in the week and then just yesterday I noticed that I’d passed 2000 total followers! I’ve only been blogging since the end of August so am feeling quite overwhelmed to find that I have so many people reading my blog. Thank you so much to each and every one of you. I started my blog after a really tough time in my real life as it gave me something positive to focus on every day. I don’t think I’ll ever be able to explain how much this blog and the support I’ve received has meant to me but I am so very, very grateful. This was a great read – a very intense, hard to put down novel about a family trying to come to terms with a missing teenager. It’s more of a mystery than a psychological thriller but it’s definitely one not to be missed. I hope to have a review of it up on my blog this week. There were aspects of this novel that were really well done and others that I feel conflicted about so I’m struggling to review it at the moment. I hope to find the words for a review and to have it up on my blog soon. I just finished reading this novel last night and it had me in tears, I found it to be such a moving novel but ultimately very uplifting. I’m hoping to run a giveaway for a hardback copy of the novel along with my review so I’m intending to have this ready to go in the next week or two, so please keep an eye out for that. I’ve managed to blog five times this week. I have a busy time ahead this week with medical appointments that I know will take a lot out of me so I’m just going to blog if I’m up to it. I do have an author interview almost written up, and I have a couple of reviews ready for posting so hopefully I’ll manage to get this content on my blog over the course of this week. I had started reading The Day of Second Chances by Julie Cohen but I hadn’t realised that the release date has been put back to July so as I’d only read a few chapters I’ve decided to put this book to one side until nearer the publication date. It is a book I was enjoying and I’ll look forward to reading it in its entirety closer to July. I just loved the sound of the synopsis for this book and knew I had to read it! I hope to get a chance to start reading it soon. I was thrilled to receive a copy of this book. I remember watching the video of Jo Milne hearing for the first time on the news a couple of years ago and am really interested to learn more about her life. I’m sure I’ll be reading this very soon, especially as I’m still enjoying non-fiction so much at the moment. I also went on another kindle book buying splurge. Some of these books are new releases and some are in the current sale. I’ve seen people tweeting about this book and so couldn’t resist buying it on release day on Thursday. I’m trying to catch up on review books just now but I hope to squeeze this book in very soon! This is another book that I’ve heard so much about on social media and so I pre-ordered it a while ago. It appeared on my Kindle on Thursday morning and I can’t wait to read it! I’ve been aware of this novel for a while and knew it was something that I was very interested in reading but I never got around to buying a copy. I happened to see it mentioned in a blog the other day and it spurred me on to just treat myself to a copy. I definitely want to read this one soon. The premise of this book sounded fascinating to me and I’m keen to read it as soon as I possibly can. I’m a huge fan of Cecelia Ahern’s novels, I’ve read and loved them all and so when I heard that her next book would be a YA novel I was intrigued. There was no way I was going to be able to resist getting a copy to see what it’s like! I heard about this book on social media recently and immediately bought a copy. This sounds like a sweet, light-hearted read. This book has been on my wish list for a while but I’ve seen mixed reviews so was undecided as to whether I was going to get it or not but then I spotted it in the Kindle spring sale for 99p and figured it was worth taking a chance on for that price! Hopefully I’ll be one of the readers who really enjoys it. I’m very excited to be able to share the gorgeous cover for The Joyce Girl, the debut novel by Annabel Abbs! I’m thrilled to have been invited to be on the blog tour for The Joyce Girl later this year and can’t wait to read it. her destiny is to marry Beckett. But when her beloved brother is enticed away, the hidden threads of the Joyce’s lives begin to unravel, destroying Lucia’s dreams and foiling her attempts to escape the shadow of her genius father. Her life in tatters, Lucia is sent by her father to pioneering psychoanalyst, Doctor Jung. For years she has kept quiet. But now she decides to speak. Based on the true story of Lucia, The Joyce Girl is a beautiful story of thwarted ambition and the nurtur- ing but ultimately destructive love of a father. A mesmerising and original debut, The Joyce Girl will be published in the UK and Ireland in paperback and eBook in June 2016. Profits from first year royalties go to YoungMinds in memory of Lucia Joyce, who spent most of her life interred in an asylum. The Joyce Girl won the Impress Prize for New Writers in September 2015. The shortlist was judged by a panel of experts in the publishing industry. The novel was also longlisted for the Bath Novel Award and the Caledonia Novel Award. debut novel, e Joyce Girl, won the 2015 Impress Prize and was longlisted for the 2015 Bath Novel Award and the 2015 Caledonia Novel Award. Her short stories have been long and shortlisted for various awards. She is now completing her second novel, based on the life of Frieda von Richthofen, wife and muse to D.H. Lawrence. Before she began writing she spent 15 years running a marketing consultancy where her clients included Reuters, Sony and the FT. She lives in London and Sussex with her husband and four children. 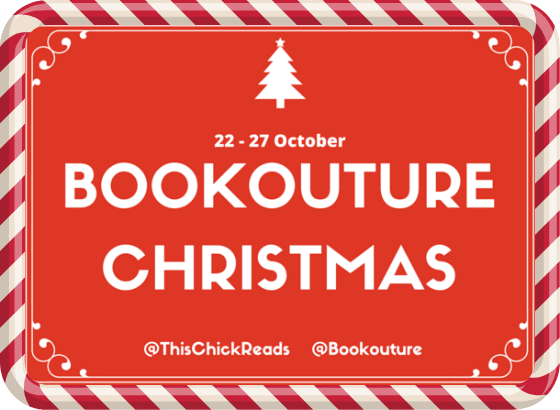 I’m so excited to be taking part in Bookouture Christmas! This is being organised by the lovely @ThisChickReads on twitter and the fab publishers, @Bookouture. Bookouture have published some brilliant and magical Christmas books this year and over the course of the next few days fifteen bloggers, including me, will be posting lots of exciting reviews of these books, Q&As with the authors, author guest posts and some fabulous giveaways of the books. Reviews are welcome from anyone who wants to join in, just use the hashtag #BookoutureXmas on twitter. On my blog over the course of Bookouture Christmas week I’ll have a range of posts on these books and every day for FIVE days I’ll be running an international giveaway – each day my blog will host a giveaway where you can enter for the chance to win whichever Bookouture ebook is featured on that particular day! I’ll be posting on my blog and then tweeting links from my twitter account @hayleysbookblog. 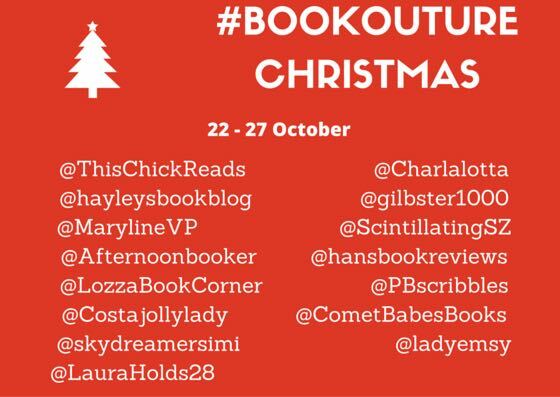 Please tweet me or comment below regarding all things BookoutureXmas! Wishing you all a very merry BookoutureChristmas! I can’t believe that I’ve only just realised that today is National Poetry Day! I want to share a few poems from two of my favourite poets. The first two are from Wendy Cope, whose work I adore. Wendy Cope has such a warm and wonderful style that makes every single one of her poems a joy to read. Some are amusing with a touch of sadness underneath when you stop and think, and others just really make you laugh. I have all of Cope’s collections and often just grab one of her books off my shelf to read some poems at random. I love this poem, there is much under the seeming simplicity of it. Sometimes I read it and think it’s a wry and cynical poem about an ex; sometimes I think it’s echoing the sentiment we all have that someone shouldn’t have when they do buy you something nice; and then other times it feels like it’s a poem about grief. Ultimately, it’s a poem about what someone almost had, and now they’re left with only memories. So from what seemed like quite a cheery poem at the start ends up feeling full of melancholy. I adore that about it because poetry should invoke strong feeling when you read it. I have sent a copy of this poem to so many friends over the years when they’ve been going through a break up, I just think it’s perfect! My other favourite poet is Philip Larkin. I first read one his poems when it came up in my English A-Level class and I loved it. I then sought out all of his other works and devoured them. When it came to choosing a university I chose based on which one had the best opportunity for me to further study Larkin’s work. I have many favourite poems by him that I could pick but the first one that always comes to mind is this one. The first time I read Home is so Sad I sobbed because it reminded me so much of going into my close relative’s house just after she’d died and everything was exactly as she’d left it. It was the weirdest feeling because I knew she was gone but it didn’t make sense when her cardigan was still over the back of her chair from where she’d left it just hours earlier. I’m sure many people will have the same feeling when they read this poem, that it could be about their own life. It still makes me emotional every time I read or hear this poem but poetry is supposed to have an impact on us and it’s a wonderful thing when something you’ve read many, many times can still give you goosebumps and make you cry. Who are your favourite poets? What are some of your favourite poems? Please share them in the comments below, I’d love to hear your choices. I chose this title for my blog as books have been a constant throughout my whole life. Every happy time, every sad time in my life has a memory of a book attached to it. I know, for example, what book I was reading the day I got married, and I know what I was reading the day my mum died. Books are memorable to me for many reasons. Obviously some are memorable because they are amazing books in their own right and I remember them for that reason. Other books may have been quite average but are held high in my memory because they have a strong life memory attached. The point is that for me books are entwined throughout everything that makes up who I am. And there have been times in my life where, if it weren’t for the right book appearing in front of me at the moment it did, I’m not sure how I would have made it through. Books are just magical for me. They allow me to escape, they allow me to travel to different times and places and realms. They make me laugh, they make me cry. They help me discover new things about myself, and about the world we live in. So, my aim for this blog is to share my love of books. To share books that have saved me. To share books that are just wonderful. I may write some reviews of books I’ve recently finished. I may share some books with life memories attached. I’m also prone to writing lists of what I’ve read over the month or year, and although I always find it near impossible to narrow down, I do love a good end of year top ten, or twenty. Anyway, it’s my blog about books. I hope you’ll enjoy reading what I share.